Download Automobile Website Template Free PSD. This Automobile and Car Web Template perfectly used for any Car brand, Motorcycle Brand, Automobile Services and Auto Accessories related Businesses. 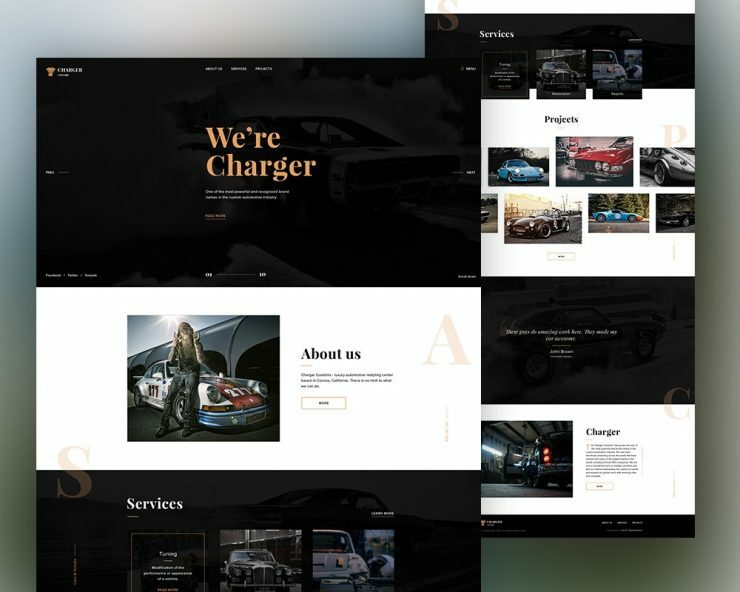 Your can Promote your Products and services related to Car or Motorcycle Accessories with this great looking Automobile Website Template which can also be used as Ecommerce Web Template. The PSD Template file is fully layered and all elements are in groups and can easily identify by the group name as well for easy customization. Hope you like this Automobile Website Template Free PSD. Enjoy!